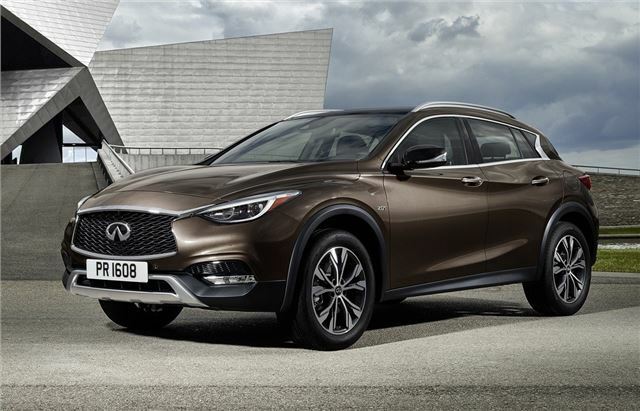 The QX30 is Infiniti’s long-awaited premium compact crossover. 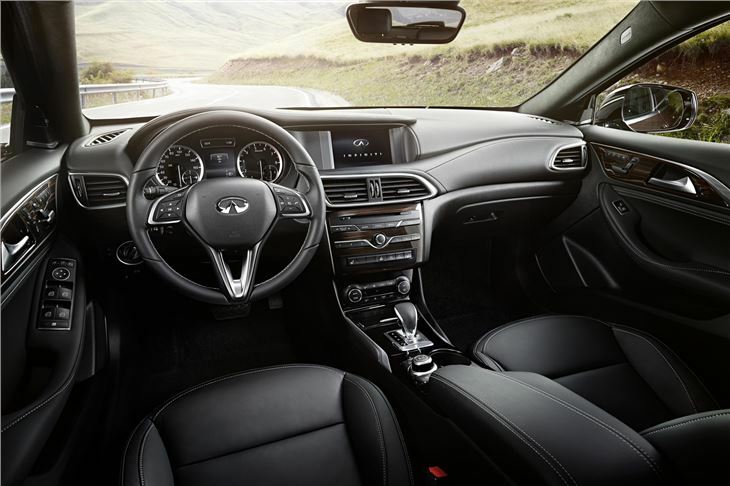 If you don’t know the story already, Infiniti is a luxury brand owned by Nissan (an equivalent to Toyota’s Lexus, if you like), and very well established in both America and Japan. 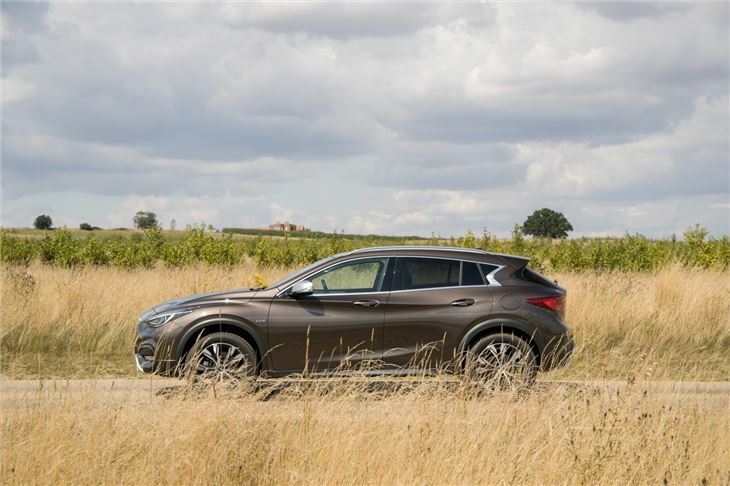 Unfortunately, Nissan chose to launch Infiniti into the UK market in 2008, which given the economic circumstances was mistimed. To put it mildly. It also did so with a range of big cars powered by inefficient petrol engines. Needless to say sales have been poor, but Infiniti has survived because Nissan bankrolled it through the turbulence. Of course, that situation couldn’t continue indefinitely, and so Infiniti, finally, released a couple of trendy, reasonably priced family hatchbacks in 2016 – the Q30 and this, the taller QX30 crossover version. 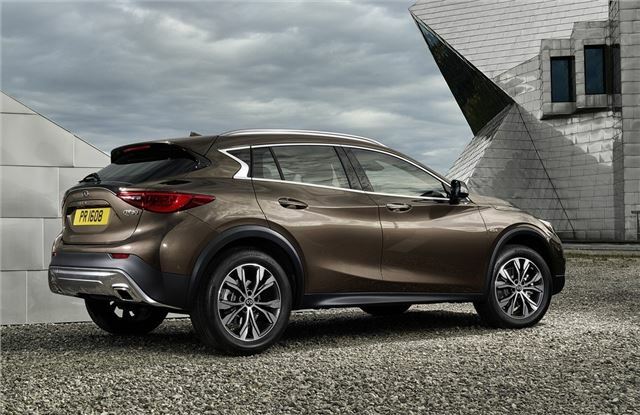 You may already be putting two and two together and coming up with posh Nissan Qashqai – but you’d be wrong. 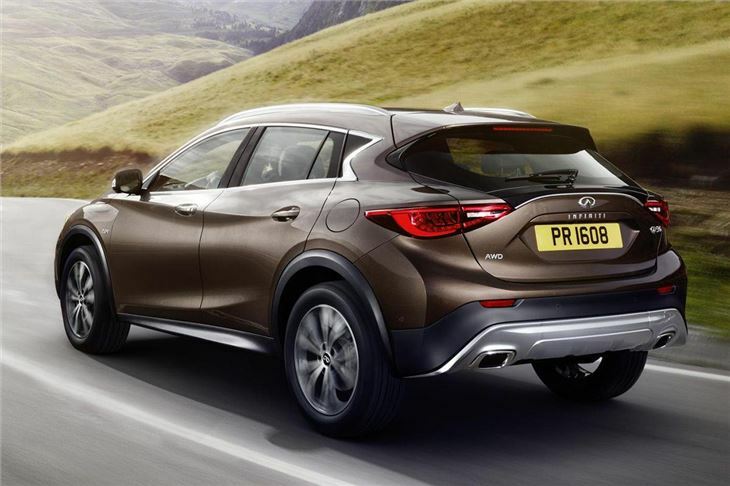 Instead, the QX30 is a re-hashed Mercedes-Benz A-Class. On one hand that makes perfect sense – make a premium car from a premium base and you can’t go far wrong, right? Not quite. The A-Class is Mercedes-Benz’s weakest model, and Infiniti has done little to either disguise the QX30’s underpinnings or improve upon them; much of the QX30’s interior architecture and switchgear is lifted unchanged from the donor car, and many of the flaws remain. The QX30 is well built and styled to stand out, but for some reason Infiniti has concluded that it should be a sporty crossover rather than a luxurious one. The result is over-firm suspension that unsettles the ride, heavy steering that requires a little too much effort at parking speeds, and yet no real sense of driver involvement; as a general rule, the laws of physics preclude tall hatchbacks from being much fun to drive. There is nothing uniquely advantageous to be found in the pricing, equipment or running costs departments either. Choice is extremely limited – just one drivetrain and two trim levels, priced from around £30,000. That engine is a 2.2-litre diesel (again, taken from Mercedes-Benz) with a seven-speed automatic gearbox, and the result is a 57.6mpg average fuel economy rating with 128g/km CO2. Far from catastrophic, but most rivals offer diesels of greater efficiency, and they also offer lighter two-wheel drive versions. And petrol options, which are generally more suited to lower mileage buyers. Equipment levels are generous, as you’d expect, with (base model) Premium versions getting cruise control, climate control, DAB radio, Bluetooth, touchscreen navigation, and automatic braking. 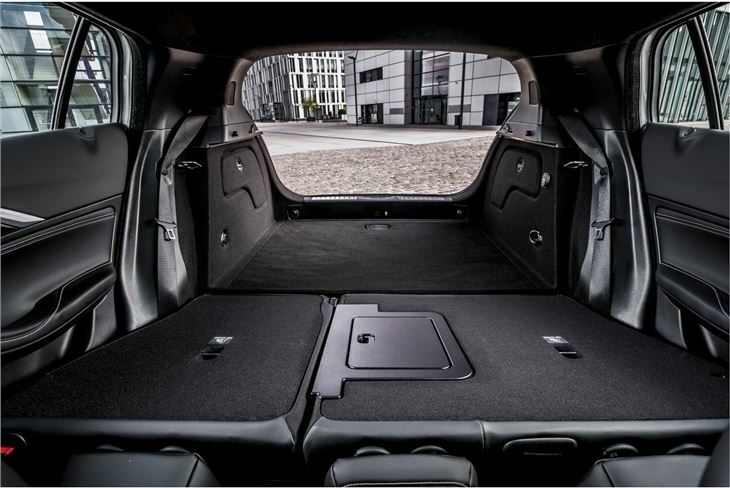 As the cliché goes, it’s all the car you’ll need – though perhaps not for your passengers, as the QX30 suffers from limited headroom, cramped rear seats and only average boot space (430 litres). 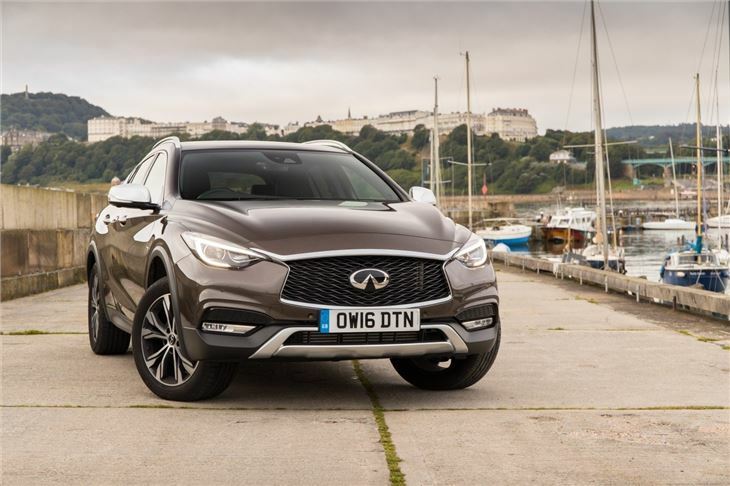 All-in-all then, while the QX30 might prove an interesting and rare alternative for buyers willing to overlook its flaws, it’s a premium crossover that falls short in too many areas to recommend.